The Dynapar OnSite™ condition monitoring system is a hardware and software solution that combines flexibility with fast results. The hardware hub captures vibration, temperature and speed (with an encoder present) and transmits it via a Wi-Fi or cellular network. It deploys in minutes: Just attach the sensors, turn on the power and the Dynapar OnSite™ System does the rest. There is no need to download software - the application resides in the cloud. 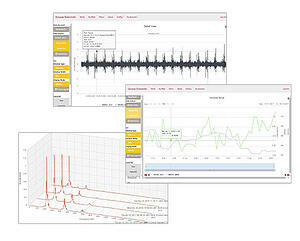 And built-in software tools make it easy to set alarms and analyze data in real time. Compatible with existing infrastructure (no proprietary gateway required). Max range: 300m, line of sight. Installs in minutes with multiple mounting options. Rated at IP65 and 85°C max temp for harsh environments. 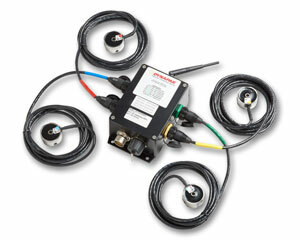 Sensor cable extends up to 30ft for hard to reach locations. Each node contains four sensors with tri-axial accelerometers and temperature sensors. Each sensor is rated IP68 and 105°C max for rugged environments. 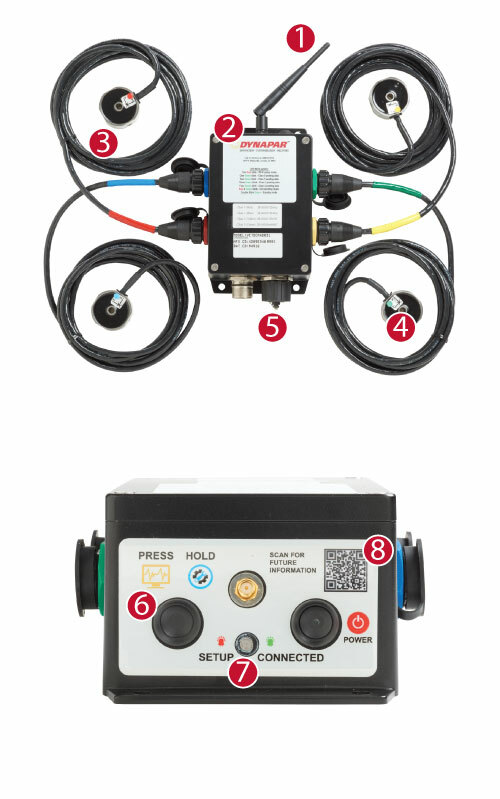 Connect encoder for speed data allowing full situational awareness of machine condition. Push button for a quick snapshot of current data. Visually confirm device status with multifunction LED. Scan for quick access to software and commissioning portal. See an overall trend to quickly spot spikes and issues early. 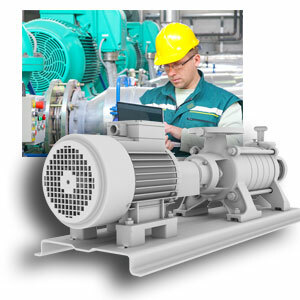 Combine vibration data with speed and temperature to achieve complete situational awareness (encoder input needed for speed data). Advanced analytic tools such as water fall plots and harmonic cursors are built-in for experts to quickly root cause critical issues. 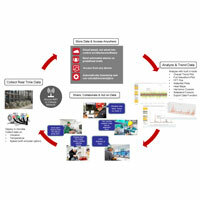 Quickly identify troubled assets at a glance and view event history. Dive into the data quickly from the dashboard to determine the issue, not just that an alarm went off. 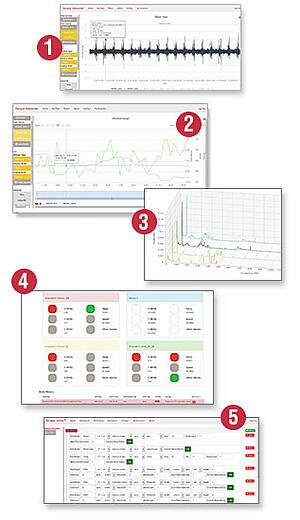 Customizable alarms based on user-established thresholds for RMS, FFT, dynamic FFT orders, peak Gs, speed, temperature, missed posts and local data request. Learn more about the Dynapar OnSite™ Condition Monitoring System, view key features and download datasheets. Discover how the Dynapar OnSite™ system can change the way you monitor critical assets and eliminate data silos within your organization. See examples of how plants of all sizes use the Dynapar OnSite™ System to detect problems before they occur, monitor assets and make decisions. Condition monitoring, reinvented. Discover what the Dynapar OnSite™ System can do for you. Request more information about the OnSite system today.